Employees who are terminated without notice can sue employers for the total compensation, including bonus payments, which they would have otherwise received during the notice period if reasonable notice had been given. The Ontario Court of Appeal recently made clear that terminated employees can be awarded post–termination bonuses, even when the terms of the relevant bonus plan appear to disentitle them from receiving a bonus. In Paquette v. TeraGo Networks Inc., the bonus plan stated that the employee must be “actively employed” on the date of payout to receive the bonus. In Lin v. Ontario Teachers’ Pension Plan, the plan stated that where an employee’s employment “is terminated…prior to payout of a bonus, no bonus shall be earned or payable to the [employee].” The Court of Appeal awarded post–termination bonus payments to the employees as part of their entitlement to payment in lieu of reasonable notice despite those terms. In the wake of these developments, the Divisional Court recently fleshed out an important distinction in the jurisprudence surrounding bonus plans, namely that merely because an employee is entitled to participate in a bonus plan during the reasonable notice period, that does not necessarily entitle them to the payment of a bonus. In Fraser v. Canerector Inc., the Divisional Court heard an appeal from a summary judgment motion in a wrongful dismissal action. The motion judge had determined that the employee had been wrongfully dismissed, and assessed the reasonable notice period accordingly. The employer’s annual bonus assessment date fell during the employee’s reasonable notice period. Not surprisingly, there was a dispute over whether the employee could claim damages in respect of that annual bonus. When the employee accepted the job with the company, his offer letter stated that he would be “eligible to participate in [the] employee bonus plan”. The company did not have a written bonus policy, and there was no formula used to calculate bonuses. The amount of the employee’s bonus had varied significantly from year to year. The motion judge held that the employee was not entitled to any bonus for two reasons: First, the bonus plan in question implicitly required participants to be employees at the time the assessment process was undertaken. Second, the plan itself was fundamentally discretionary and subjective, lacking any formula which a court might objectively apply. The employee appealed the decision on the bonus entitlement to the Divisional Court. Although it did not make reference to the Court of Appeal’s recent decisions, the Divisional Court found that the purported active employment requirement was problematic. This requirement was found to not have been clearly communicated to the employee in writing at any time. Further, there was simply no evidence to support the finding of fact that employees had to be present at the time of the assessment process to receive the bonus. Even if there had been a written requirement that the employee be actively employed at the time of the bonus assessment, the Court of Appeal’s decisions in Lin and Paquette make clear that this wouldn’t have disentitled the employee to damages for a lost bonus payment during his reasonable notice period. Nonetheless, the Divisional Court ultimately allowed the appeal. The employer had not based its decision on the notion that employee had to be present during the assessment. The Divisional Court also held that the motions judge’s decision regarding the discretionary nature of the plan was correct. The employee had the right to participate in the bonus plan, but there was no contractual entitlement to a specific bonus amount that could be awarded by the Court. 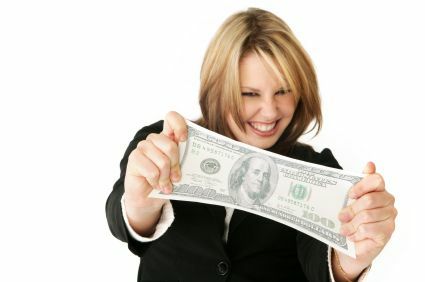 The evidence was that co–owners of the business, a father and daughter, decided the quantum of the bonus each year. When the daughter assumed responsibility for managing the employee, she noted that her father had been making allowances for the employee’s poor performance, and recommended that he be terminated. There was no evidence of deals that he assisted with, or milestones in his performance during the year in which he was terminated. Although these reasons did not rise to the level of constituting cause for dismissal, the motions judge interpreted this as evidence that the employee would have received a bonus amount of zero that year, even if he had not been terminated. Where, as here, the parties have both freely agreed that a portion of the remuneration of the employee will be subject to a discretionary determination of the value of contributions at year end, their decision prevails for better and for worse, in good times and in bad. In other words, the employee had to live with the risk of the widely variable bonus system to which he had agreed. The Court of Appeal has indicated that employers are not likely to be able to rely on language intended to disentitle terminated employees from receiving bonus payments during their reasonable notice periods simply by virtue of the fact that they are not actively employed. However, this decision illustrates that where a bonus plan is completely discretionary, under–performing employees who are terminated may not be owed bonus payments if the employer can prove that they would not have earned the bonus had they continued to be employed. Employers may wish to utilize language indicating that employees are “entitled to participate” in the bonus plan, as opposed to being entitled to a particular amount, and should seek legal advice when drafting such arrangements. Even where a bonus plan is discretionary, employers ought to exercise their discretion reasonably, and document the reasons for the quantum of any bonus awarded, or the reasons for not providing such a bonus. Failure to do so can expose employers to an additional potential liability on termination.